The world's top astronomers got started with a telescope just like this one - and so will you. A quality refracting telescope for land or sky viewing. 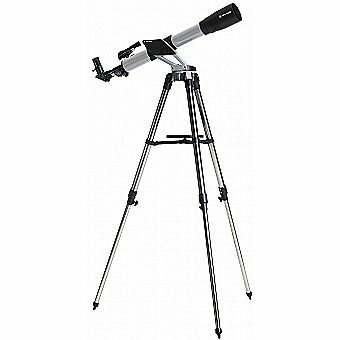 Perfect for observing Saturn, Jupiter, the Moon and land objects. A first look at the rings of Saturn or the crators of the Moon can inspire a lifetime of exploration. Go to any star party anywhere in the world and you'll see more Meade telescopes than any other. AutoStar Suite Astronomer Edition software will help you learn the night sky. It displays more than 10,000 celestial objects including planets, stars, galaxies, and nebulas. You can even print out star charts and plan your observing sessions. It operates on any Windows based PC. Also includes instructional videos. You'll be up and running in no time. The universe is waiting. Includes Red Dot Projection Viewfinder - For easy acquisition of quide stars while star-hopping for celestial targets.